Welcome to Langara College’s Education Assistant Program! 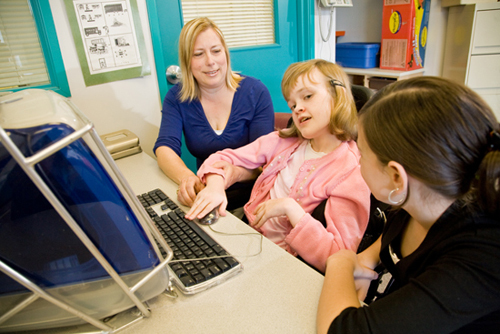 This eight month full time or six semester part time certificate program prepares students for career opportunities in the education system working alongside teachers supporting students with disabilities as Education Assistants. The program combines a range of courses that provide a balance between a strong theoretical foundation and practical experiences so students graduate well prepared to begin their career. In the public school system, a movement away from segregated classrooms toward inclusive classrooms has resulted in dramatic changes in the way students with disabilities are educated. It is an important goal of the faculty of the Education Assistant Program to provide students with opportunities to become competent and employable paraprofessionals in these dynamic environments. In January, 2019 Langara will be offering a new part-time stream in our Education Assistant Certificate program. This stream will allow students to complete the Education Assistant Certificate program on a part-time basis by taking courses in evenings and on weekends. A student could complete the part-time program in as little as six semesters. Courses will be offered in the spring, summer and fall semesters. Langara will continue to offer our full-time two semester (fall and spring) program. Both streams include two extended practicum experiences in local schools. Please see here for admission requirements and carefully look at the rest of the Education Assistant website as you will find many answers to your questions! More information about the part-time evening course schedule will be available soon. Applications for the part time program are now open. To learn more it is essential that you attend an information session. Please watch this website for Information Session dates and times as these will be updated frequently. To receive the Coordinated Diploma, students must have an additional 30 UT (university transferable) credits. These credits, which are completely outside of the EA Program, can be completed before or after the certificate year. In January, 2019 Langara began offering a new part-time stream in our Education Assistant Certificate program. This stream allows students to complete the Education Assistant Certificate program on a part-time basis by taking courses in evenings and on weekends. A student could complete the part-time program in as little as six semesters.